Phil Knutson - Mowbray & Son, Inc.
Phil Knutson graduated from Minot High School in 2003. 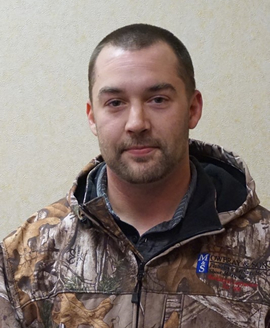 Phil began his plumbing career starting out as an apprentice at Minot Plumbing & Heating. He worked his way through his apprenticeship program to become a Journeyman. Phil joined the Mowbray & Son Inc service team in April of 2013. In 2015, he became a member of the Plumbers/Pipefitters Local #300. Phil has certification for Med Gas installer/brazer, EPA Lead & Refrigeration, OSHA 10, First Aid, and CPR. He has experience in both residential and commercial plumbing applications.